ORLANDO, Feb. 28, 2017 /Christian Newswire/ — Freedom to Pray, a new nonprofit dedicated to advocating on behalf of individuals of all faiths who are being forced to end their participation in prayer groups through free conference line services due to T-Mobile’s new $0.01 per minute fee, announced its launch today at the annual National Religious Broadcasters Convention in Orlando. This grassroots effort initiated to bring attention to this discrimination and provide a means of response for faithful prayer warriors, and individuals and groups who support them, to petition T-Mobile to keep prayer lines free for everyone. David Butts, president of Harvest Prayer Ministries and chairman of the board for the National Day of Prayer, is a key leader in the movement to #KeepPrayerFree. He, along with his colleague Kay Horner, Executive Director of The Helper Connection & Awakening America Alliance, mobilize multiple free prayer networks and calls, and have become aware of hundreds of individuals who have had to give up participation in these collective gatherings since T-Mobile started adding such charges in October 2016. He believes this is an attack on the right to exercise faith freely and that T-Mobile is impeding religious freedom. Despite T-Mobile’s aggressive advertising campaign-including four Super Bowl spots positioning its marketing distinctive as the “Uncarrier” with no extra fees-tens of thousands of customers participating in group prayer calls have been adversely impacted by the mobile company’s recent action to charge $0.01 per minute for calls to free prayer conference lines. These fees are in addition to T-Mobile’s monthly service plan charges and quickly add up for individuals spending hours in prayer, often multiple times each week. T-Mobile prides itself in attracting a diverse demographic of individuals looking for the most economical plans and then hits them with extra “out-of-plan” fees-which most users cannot afford. In fact, in October, when T-Mobile started charging the extra fee for “out-of-plan” numbers, the company was subsequently fined $48 million for misleading patrons regarding unlimited data plans. More than 20,000 concerned customers called their free conference line provider in just the first month after T-Mobile instituted its additional fee. There are millions of minutes used per month in prayer line connections globally and hundreds of thousands of customers rely on prayer lines 24/7, so while other types of free conference line users have been affected, not nearly so many of these other groups have called in to complain. 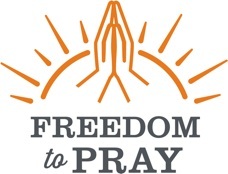 Now, through the Freedom to Pray website, FreedomtoPray.org, individuals can stand in support of those being charged for prayer by signing an online petition expressing concern about T-Mobile’s attack on prayer and requesting a call to action. The movement also urges individuals to share socially with friends and family using #KeepPrayerFree to encourage them to become informed and involved in the initiative. For additional information, visit FreedomtoPray.org. Note to Editors: For more information or to request an interview with Freedom to Pray leadership, please contact Melany Ethridge or Heidi McDow at (972) 267-1111, or via email at melany@alarryross.com or heidi@alarryross.com. Find press materials online at www.alarryross.com/newsroom/freedomtopray.